The DataTree API ‐ a JSON based real estate API ‐ provides the power and convenience of an instant connection between your business to DataTree’s nationwide database of property information, property report data, AVM and recorded document images. Access the data relating to properties including address, ownership, property characteristics, tax information, foreclosure activity, open liens and more. More than Property Data. Unique Real Estate Insight for Your Business. With the DataTree-API, you’ll also have access to homeowner association data (HOA), including contact information as well as HOA Liens. 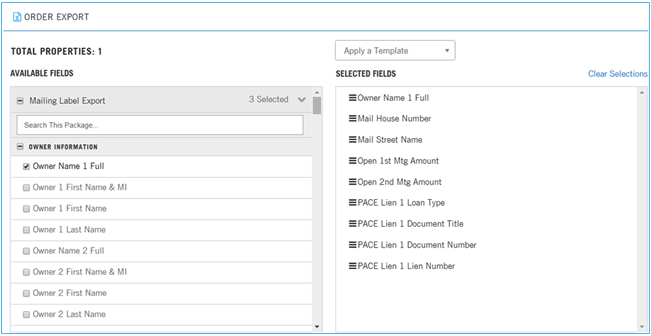 Plus, get PACE Lien data - for intelligence on properties primed for clean energy upgrades and financing. When you need the data contained in property reports, the DataTree API delivers the data. Reports including TotalView, Legal and Vesting, Title Chain & Lien and so many more! Recorded Documents and Maps Too! Complete your real estate insight view with a direct link to recorded documents including Last Transfer and Last Finance as well as Assessor Maps. You can also search specific documents by their recorded document ID. With the DataTree AVM and API - you will be able to accurately value a property or portfolio. Data and documents are added daily as new transactions occur and new documents are recorded. You can always be confident that the DataTree API is delivering data that is always current. Experience the data and insight the DataTree API will provide to your business with a Free Trial that includes 1,000 Transaction Per Day!